Below are testimonials from real clients who have been helped by Mirjana! I’m so glad I found this spa! I have just finished my third visit with Alla at Urb Organic Spa. I am thrilled with each and every facial I have received from Alla. Alla not only gives you an outstanding facial, but accompanies the facial with an extraordinary massage to your head, back, neck, arms and hands, legs and feet. Your whole body benefits and your body is totally relaxed at the completion of her massage. You are not left alone during your appointment. You are totally catered to throughout your visit. I have never experienced the total facial massage that is included with their anti-aging facial. Alla ensures absolutely nothing is overlooked. Every detail is attended to at Urb Organic Spa. I am overjoyed I started attending this spa and am delighted with the results. My pal got me a gift certificate for an anti-aging facial at Urb Organic Spa back in November, but Mirjana didn’t have an opening in her schedule until January! It was worth the wait as my facial was amazing. 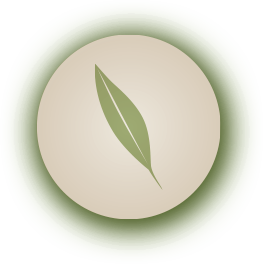 Urb Organic uses organic beauty products, which are gentle to your face. The shoulder, scalp and foot massages were so relaxing as well. There were definitely periods when I dozed off because it was so calming. I feel so refreshed and can’t wait to come back again.